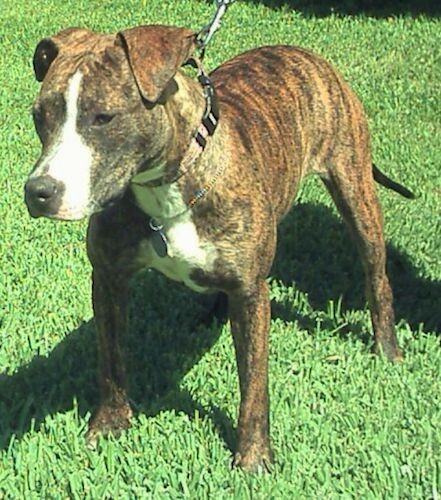 Kayla the Pit Bull / Boxer mix at 8 months old—"We adopted Kayla from a rescue animal shelter in Texas City, Texas. My wife and I weren’t sure what kind of dog to get. She wanted a Boxer and I wanted a Pit so I guess we met in the middle."